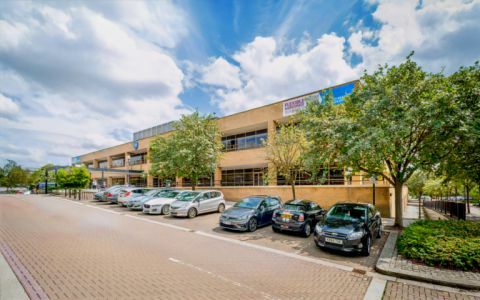 These stunning serviced offices in Milton Keynes come with our unique All Inclusive serviced office Package which includes Inclusive Telephone Calls & Inclusive mg guaranteed broadband/ Inclusive Black & White photocopying, laminating and binding/ Inclusive Refreshments/ Inclusive Fresh Fruit Daily/ Inclusive Doughnuts on a Friday! Add the fact that we have won the business centre of the year three times and this is an office to rent not to be missed! The serviced office is located in the heart of Milton Keynes on the corner of Saxon Street and Avebury Boulevard. The business centre is a 10 minute walk from the station and a 5 minute walk to the shopping centre.